يقع فندق شقق والدورف سان مارتينز، المصمم ليناسب كل الضيوف سواء كانوا من رجال الأعمال أو السياح، في مكان ممتاز في أحد أكثر المناطق تفضيلاً في مركز مدينة أوكلاند. إن موقع الفندق الاستراتيجي، الذي يبعد 2 km فقط عن مركز المدينة، يسمح للنزلاء بالوصول سريعاً وبسهولة إلى العديد من الوجهات المحلية المثيرة. سوف يعشق النزلاء موقع هذا الفندق، فهو قريب من أهم المعالم السياحية في المدينة كمثل سايموند ستريت, كارانجاهاب ستريت, Symonds Street Medical Centre . يقدم شقق والدورف سان مارتينز خدمات لا غبار عليها وكل أشكال اللياقة وحسن الضيافة اللازمة لإسعاد ضيوفه. هذه بعض الخدمات الموجودة في هذا الفندق: واي فاي مجاني في جميع الغرف, مكتب الاستقبال على مدار الساعة, مرافق مخصصة لذوي الاحتياجات الخاصة, تخزين الأمتعة, واي فاي في المناطق العامة. ادخل إلى واحدة من الغرف 155 وتخلص من عناء نهار طويل بمساعدة مجموعة كبيرة من الخدمات كمثل تلفزيون بشاشة مسطحة, اتصال لاسلكي بالإنترنت, غرف لغير المدخنين, مكيف هواء, تدفئة الموجودة في بعض الغرف. يقدم الفندق مجموعة واسعة من وسائل الراحة المتنوعة، كمثل: مركز للياقة البدنية, حمام سباحة خارجي. إن شقق والدورف سان مارتينز هو خيار ذكي بالنسبة للمسافرين إلى أوكلاند، بما يوفره من إقامة هادئة ومرحة. تتوفر أماكن صف السيارات داخلية وخارجية بالموقع مقابل 20 NZD في الليلة الواحدة أو 90 NZD أسبوعيًا، وتخضع لعنصر التوفر. الحجز المسبق مطلوب. لدى وصولك، سجل وصولك أولاً في مكتب الاستقبال حيث يتم إصدار كل من تصريح صف السيارة وبطاقات الدخول الممغنطة لدخول موقف السيارات. يرجى ملاحظة أن حد الارتفاع المسموح به هو 2.1 مترًا، ولا يُسمح بدخول الشاحنات الصغيرة أو المركبات الكبيرة إلى موقف السيارات. ينبغي عرض التصاريح على النافذة الأمامية لمنع سحب السيارة. يُطلب مبلغ تأميني بقيمة 500 دولار نيوزيلندي عند تسجيل الوصول؛ لتغطية أية مصروفات عرضية أو رسوم خلال فترة الإقامة، ويُسترد هذا المبلغ عند المغادرة. يتبع هذا العقار سياسة صارمة بمنع إقامة الحفلات أو إصدار ضجيج بعد الساعة 10:00 مساءً. Parking car fee $25+ garage entrance /exit winds and is super narrow one car only We had a 2 bedroom apt unit. only had a washer, no dryer. .had to purchase tokens from receptionist to use building laundry facility dryer to dry clothes which is located in the basement. This was a huge inconvenience when you're on the 15th floor. The unit could use some artwork in the bedrooms. The desk chair was stained and torn. The light switch over the king bed was broken. It was great staying here... in terms of parking book it early or else theyre fully book all the time. Housekeeping is very honest.. left my sling bag with my wallet(cash and credit card) in it! pick up the next day! thank you very much. Bad location and bad car park as well. There is a lift out of function when we arrive, took us 20mins to go from car park to the room. Awesome location. 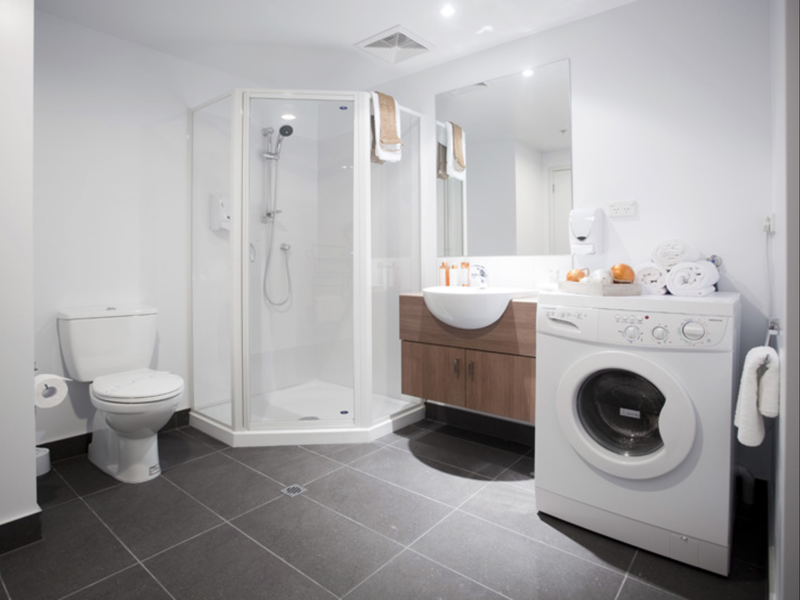 Nice quiet room with washing machine and all the facilities we needed. Would be good for longer stays. Comfy bed and great central location just away from the late night noise of the city. Awesome views from the higher floors. 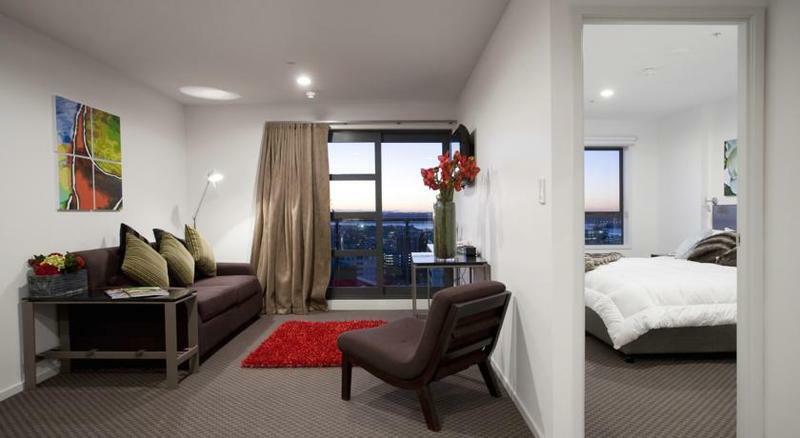 Best value for money for multiple roomed apartments. Really happy with our stay at St Martins Waldorf. We definite will come back here if ever we are in Auckland. Very friendly and helpful staff. Big room with ample space. Clean. It's just an excellent place to stay. Well done! 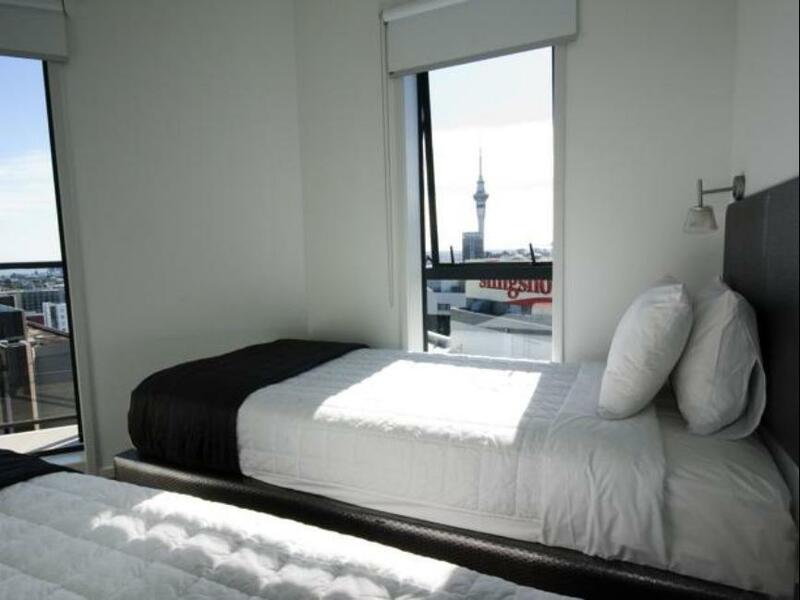 Booked a two rooms apartment with 2 very comfortable queen beds, it's really great after a 13 hours long flight, Considered a fully furnished apartment, washing machine is a plus but no dryer and we spend NZ2 to dry our clothes at the nearby dobi. 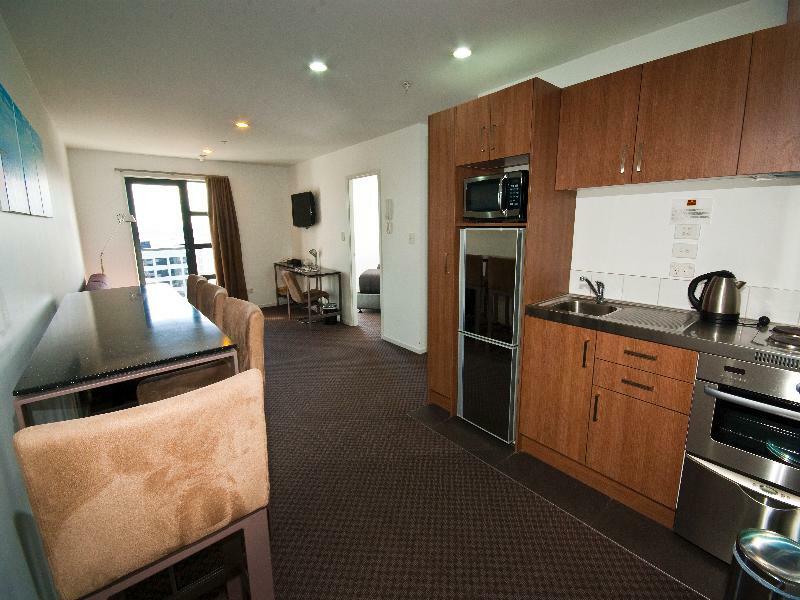 Great value for money, very clean and staff are great only down side is the location which is pretty far from where everything else is, however there is a bus that can take you to the main spots in the city which cost 1NZD to hop on. PROS - accesible to amenities . easy access to highways and city centre. good place to stay but parking is difficult no street parking. need to pay and book prior to have access for the parking and quite expensive too. I had Jet lag and super tired the day we checked in,and they didnt care and knocked my door to ask us to go out with super unfriendly tone! they didnt even care when I asked for one hour to prepare.. check out is at 11..which normal hotel should be at 12. location next to cemetery which is uncomfortable view. but I do concern about their staff here.. VERY UNFRIENDLY.. so not recommended..
stayed at St Martins Waldorf Apartments for 4 nights with my family (8 adults & 1 child) in 2 corner 2BR Superior rooms both located on the 16th floor which are both spacious and with convenient amenities (dishwasher, washing machine, TV, ref, microwave etc.) like we are just back home. Thankful also for the reception staffs (Filipino ladies) who are very friendly & accomodating to our concerns & requests. Location is very near multiple bus stops. I have stayed here a few times and the last time was disappointing. I booked a one bedroom apartment and ended up in a huge two bedroom apartment. There was a mat in the lounge that had hair on it and the couch really needed replacing. I did not feel completely comfortable sitting on it. The blinds needed replacing also. I felt I had been placed in a room where they stored old furniture. The remote to the T.V. looked dirty also. The T.V. is way too high and the couches are placed in an awkward position making it uncomfortable to watch t.v. (all the rooms I've stayed in same problem) . The gym was good but one treadmill is of no use and should be removed as the mat on the treadmill is torn. 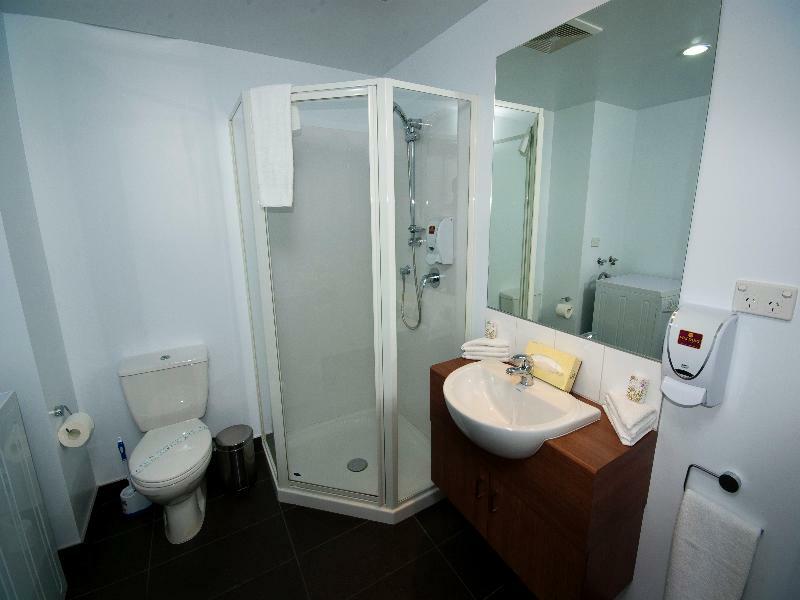 The bathroom was very clean and the bedrooms. The beds are super super comfortable and the kitchen set up is great. I do love the location as it was easy for me to attend University. 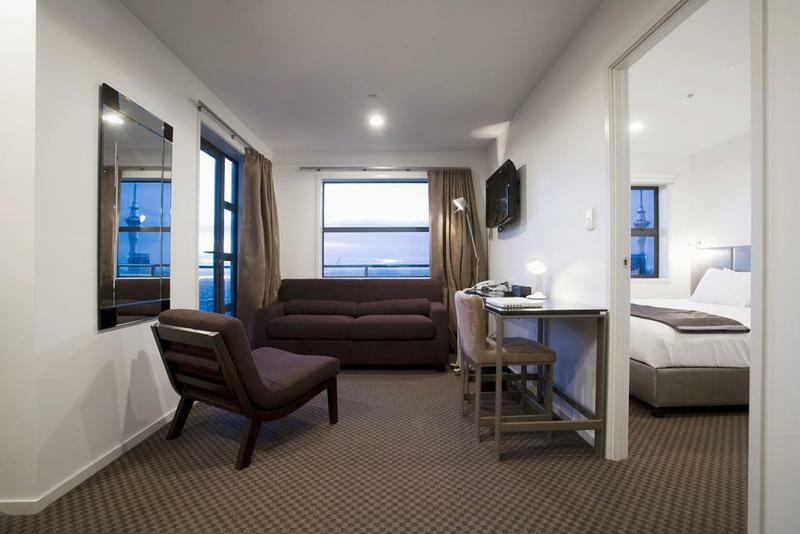 Very spacious and about 15 minutes walk to Queen St. A bit smelly bathroom though and stored sheets are not clean. Reception staff take a while to answer calls. Not that warm and welcoming demeanor but still okay, kind of business like. Still the place is spacious and I'd recommend. I wony recommend Agoda though. Good location, great price and excellent staff. Far better than I was expecting, well done! Was not informed on the parking that we need to pay. As a complimentary of staying there why wouldn't we have a free parking? All okay except for the parking which I now have to pay extra. This hotel was in a perfect location for me - close to where I was working. The rooms were always very clean. The check in process was handled very quickly. Good value for money!! Overall good except the car park available is limited before check in and it's extremely challenging to park at hotel provided car park.